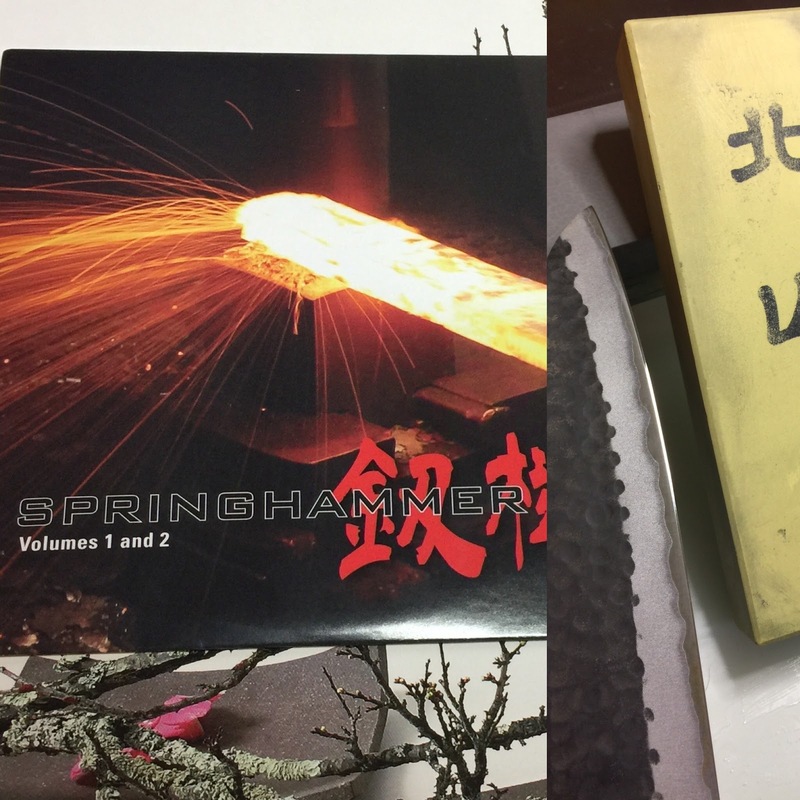 As you know, I have been sharpening knives for a very long time. 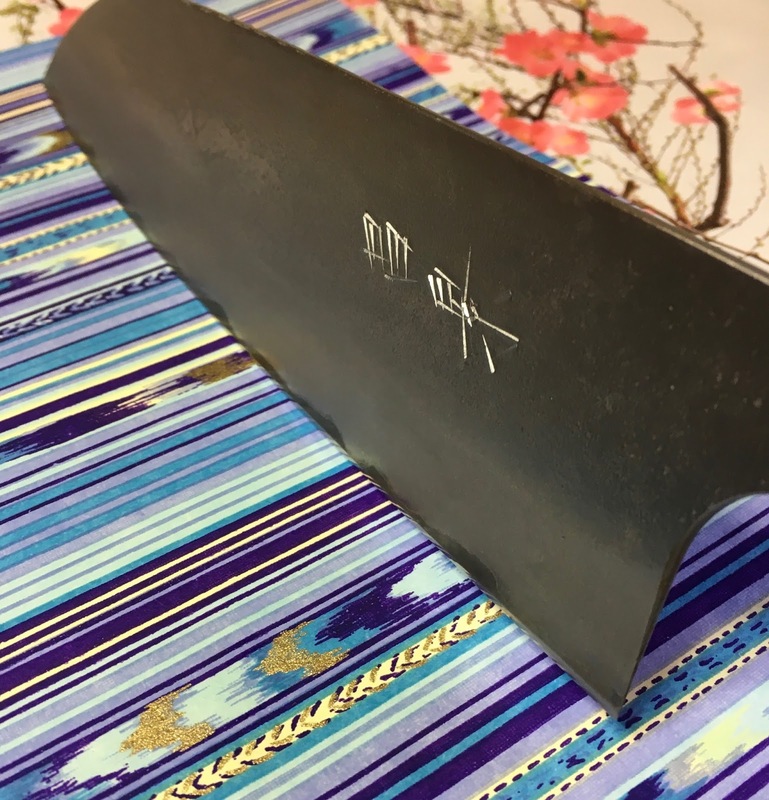 That in itself doesn't me a great knife sharpener, but it does mean I have had the opportunity to make a lot of mistakes and more importantly, to learn from them. If you let it, there is so much to learn about sharpening but you just need a grasp of the fundamentals and the energy and desire to practice to get good at it. 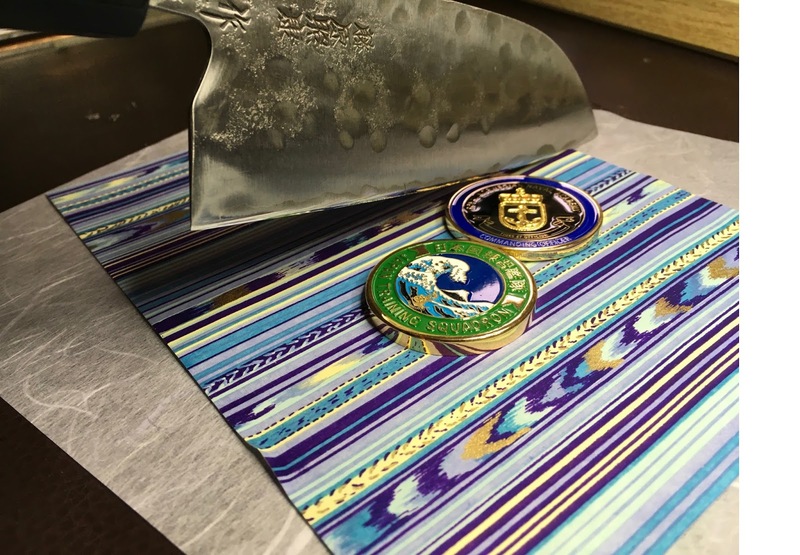 Here are some of the most important tips that I can think of, these simple things that I do, and I am sure others do have elevated my sharpening more than any other element. This is assuming you have a good handle on freehand sharpening, you have tried it at least and understand the basics. TIP 1. Achieve a balance on both sides of the knife by striving to equalize the TIME, PRESSURE and ANGLE on both sides of a symmetrical knife, 50/50. Once I started concentrating on this, the bevels became much more consistent in width. 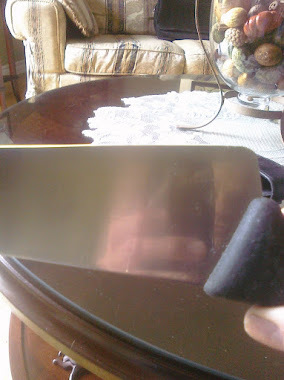 I often see knives, new knives where one bevel is wider than the other but it is supposed to be a 50/50 grind. I have done this myself. Working to achieve this balance is especially important when you start the process because that is the burr forming stage and you will be using more pressure at this stage than any other. This is where the inconsistency starts, for me anyway. I used to spend more time on one side of the knife to get that first burr formed, and then I would flip the knife, however, forming the burr on the other side doesn't always take as long so my timing, that balance was not there. Random shots here in this article. In an effort to have uniformity, consistency, I started to really concentrate on mirroring my work on both sides. 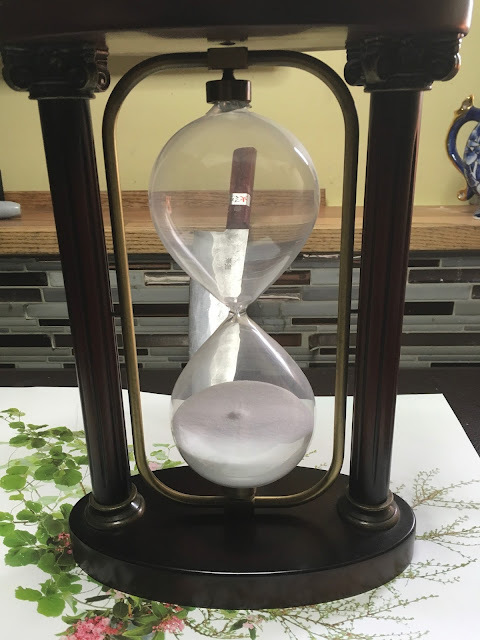 So when I form the burr, when I start sharpening, I focus on spending the same amount of time and using the same level of pressure on both sides. I start sharpening and move from tip to heel and heel to tip with good burr forming pressure and I will do this back and forth down the length of the blade a few times and then feel for the burr. If it is not there I switch sides, if it is there, I switch sides. I do the same thing on the other side, the same pattern until I get a burr on both sides of the knife. After than, it is easy for me to duplicate my work on both sides because I created a pattern. 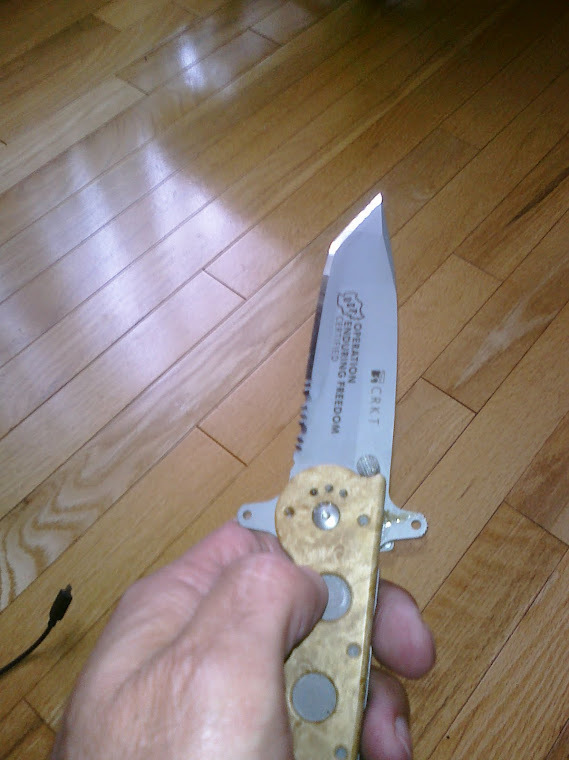 Once the burr is formed, and I am still on the coarse stone, I start the burr removal process. I simply move from TIP to HEEL and then from HEEL to TIP on the right side of the blade and then flip and repeat the process moving from HEEL to TIP and TIP to HEEL on the left side. I may do this twice on each side but I always do it the same number times. I then follow along using my pressure system, to finish the work on the coarse stone. Summary: Equalize, what you do on one side, do on the other. PAT (Pressure, Angle, Time). Naturally, it won't be exact, it doesn't have to be but it will help, it completely solved my earlier issues of inconsistent bevels. TIP 2: Check the edge under a good light source after you think you have formed the burr and removed it, this is on the first stone. 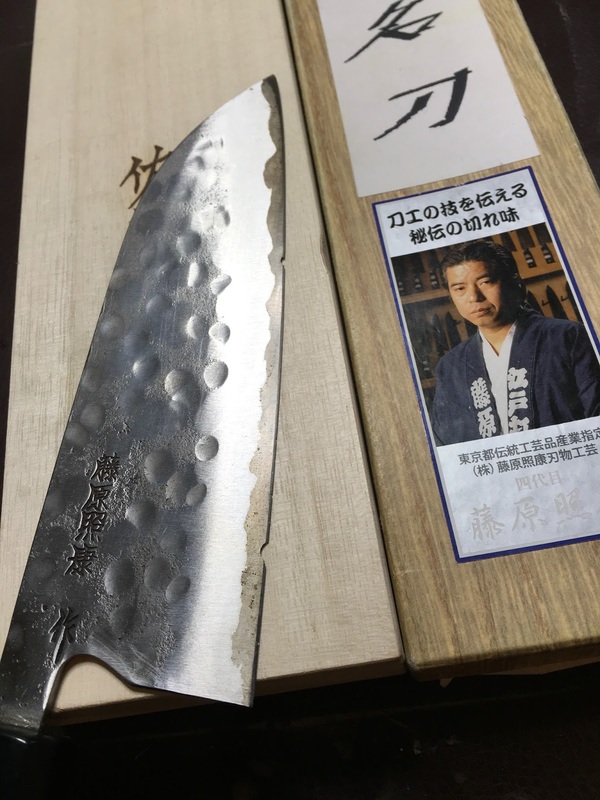 When I sharpen the knife, of course I form the burr on both sides and immediately start the burr removal process by using diminishing levels of pressure, one BURR FORMING level of pressure and 3 BURR REMOVAL levels of pressure. ( COARSE STONE). After I do this, I check the edge by holding knife upside down under a good source of light. 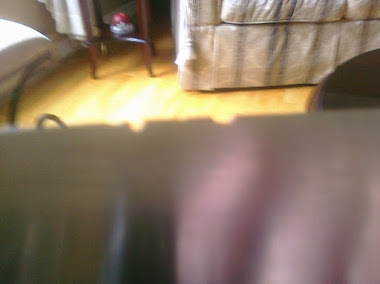 I am looking for any reflections of light coming from metal along the side of the edge that I have not successfully removed. In other words, bits, tiny bits of the burr still remain, they are clinging onto the mothership. (Now this is something that some folks don't worry about because by the end of the process, the finer stones will remove this metal anyway. 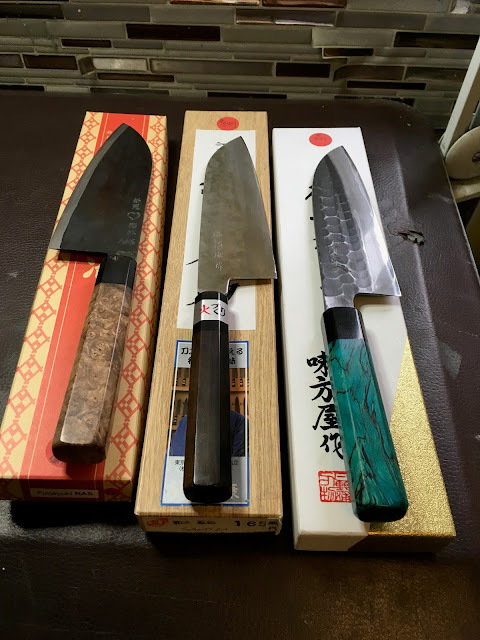 However, I noticed that doing as much "cleaning" of the edge as I can, on the very first stone has resulted in the sharpest knives I've ever seen). If I do see any metal, I just go back to the sharpening process with light pressure concentrating on the areas where the light was, it could be 2mm of area to work on but that goal is to finish with a clean edge. This is the final step that I do before I move from my Coarse Stone to a Medium Stone. Summary: A simple check that take seconds. TIP 3: PRESSURE, use Burr Forming Pressure and Burr Removal Pressure that I explained recently on my Blog. That final tip on pressure is for me, the biggest game changer of all. Successful sharpening really is all about understanding the basics and then practicing in order to gain muscle memory which in turn, leads to angle stability and incredibly sharp knives. It's not about the water stones, it's about technique, it really is. Hope you got something from this.